The New Talent Showcase 2017 from DC is a chance for audiences to gain an appreciation of some of the new talented comic book artists coming out of their development workshop. In this publication the latest graduates from the DC Talent Development Workshops show off their skills in stories starring some of DC’s greatest characters. 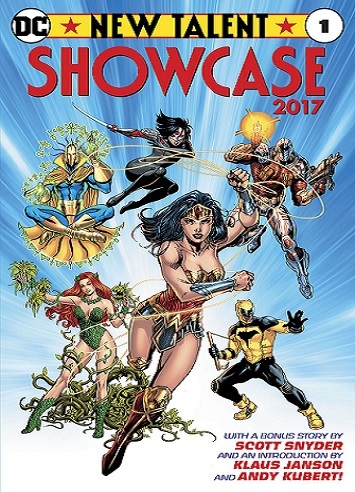 The New Talent Showcase features tales on Poison Ivy fighting an ancient demon, Doctor Fate confronted by the cost of magic, Red Hood and Duke Thomas facing off in a training day simulation and so much more. David Accampo, Siya Oum, Aaron Gillespie, Lynne Yoshii and Erica Harrell are contributing their creative skills to this issue. New Talent Showcase 2017 #1 will be available from November 29th.